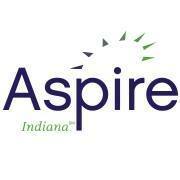 Aspire Indiana (about) is a nonprofit comprehensive community mental health center serving adults and children in Boone, Hamilton, Madison, and Marion counties in central Indiana. In addition to its mental health services, Aspire Indiana also serves as a fully integrated health system that addresses all aspects of health, including primary care, behavioral health, and the social determinants of health such as housing and employment. Aspire Indiana was using Citrix Virtual Apps (formerly Citrix XenApp) and Citrix Virtual Apps and Desktop (formerly Citrix XenDesktop) to provide their employees with remote access to their electronic medical record (EMR) system, as well as Microsoft Office and web browsers. However, Aspire Indiana needed a lower-cost solution with less complexity to meet their organization’s virtualization needs. Their primary goals were to access EMRs and order prescriptions without compromising patients’ data. The virtual application delivery solution would allow data to be stored and manipulated on remote devices deployed by their employees, including Windows, Mac®, iOS®, Android, Google Chromebook™, and Microsoft Surface. Finally, Aspire Indiana required a virtualization solution that would provide remote access to applications through an HTML5 web browser, as well as support public Infrastructure-as-a-Service (IaaS) offering Google Cloud. After evaluating three potential virtualization solutions, Aspire Indiana determined that Parallels® Remote Application Server (RAS) was best-suited to meet their needs. The primary reason for this decision was that it allowed Aspire Indiana to deliver secure, remote access to EMR applications through an HTML5 gateway. Aspire Indiana was also impressed by the overall simplicity and user-friendly virtualization features offered by Parallels RAS. The Parallels RAS HTML5 gateway allowed Aspire Indiana to access EMR applications without installing any software on end users’ devices. As a result, the organization was able to deploy low-cost Google Chromebooks, which substantially cut down on hardware costs while providing great mobility. The Parallels RAS comprehensive application delivery solution kept patients’ data safe on the centralized server, even while employees accessed it from remote Chromebook devices through the streamlined web portal. With comprehensive virtualization by Parallels RAS, Aspire Indiana achieved secure access to EMR software through HTML5 web portals on any device, anywhere. Aspire Indiana was able to implement a bring-your-owndevice (BYOD) policy at the organization, which cut down on hardware costs as well as provided increased flexibility and mobility to employees. In addition, the organization implemented further savings by deploying low-cost, easy-to-manage Google Chromebooks. The migration process to Parallels RAS only required a few hours, rather than days or weeks like the previous Citrix solution. Importantly, the transition was easy to achieve with the IT staff on hand and did not require expensive certification courses or high-cost consultants. Overall, Aspire Indiana was able to lower its total-costof-ownership (TCO) while improving the level of patient care available at the medical center. “Parallels Remote Application Server was so easy to deploy! It allows us to access applications from anywhere on any device. Parallels RAS has also allowed us to cut costs by purchasing more budget-friendly Chromebook devices for our users” – Brandon Patton, Systems Administrator, Aspire Indiana. Parallels RAS comprehensive desktop delivery solution provided Aspire Indiana with a seamless, secure virtualization environment to deliver medical patient information on any remote device, anywhere. The solution delivered reliable remote application infrastructure that could be managed through a single pane of glass. The most significant advantage for the organization was a more cost-effective IT infrastructure—Aspire Indiana was able to do more with less. Overall, IT network administrators and employee end users were extremely satisfied with the virtualization solution provided by Parallels RAS, as well as the level of care it afforded their patients.